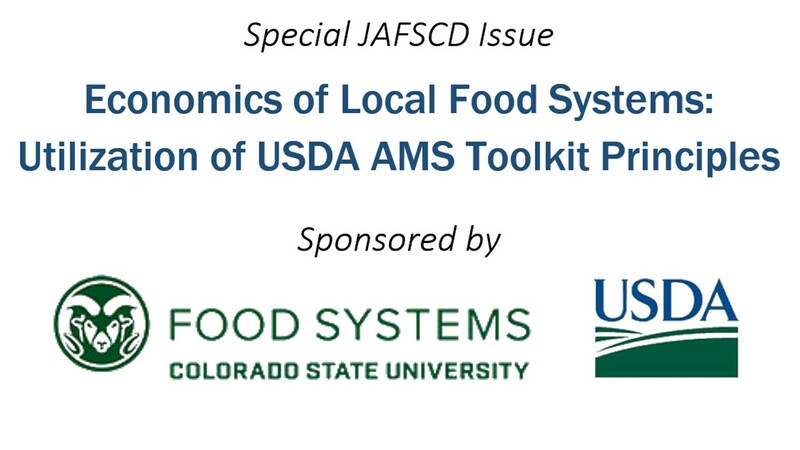 This special issue examines the effectiveness of organizing and conducting formal impact assess­ments in measuring the economic impacts and opportunity costs associated with local food system policies, programming, and investment. It features 11 articles by a diverse range of academic research­ers and community stakeholders who have used the publication, the Economics of Local Food Systems: A Toolkit to Guide Community Discussions, Assessments and Choices (which we refer to as “the Toolkit” hereafter) to initialize, frame, and carry out eco­nomic impact assessments of local and regional food system activity. Many of the case studies fea­tured in this special issue are directly connected to the over 30 technical assis­tance workshops pro­vided by the Toolkit’s authors and other partners between 2015 and 2018 follow­ing the Toolkit’s release. Our intention in compil­ing these papers is to gauge whether practitioners and researchers find the Toolkit useful in demon­strating compelling evidence of the economic impacts of food system development strategies, and when they do, to demonstrate its utility and share best practices.